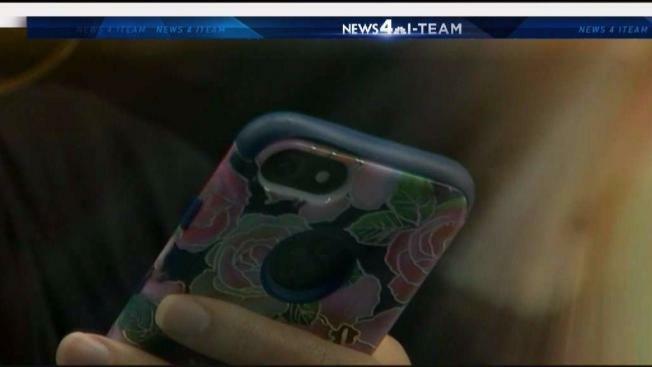 Criminals who target phones are getting more brazen around the Washington, D.C., area, according to an investigation by the News4 I-Team. The I-Team pulled police records in D.C., Virginia and Maryland and found several police agencies report the overall number of phone thefts actually is dropping as technology allows more owners to brick, or lock, their phones, rendering them inoperative if stolen. But the thousands of phone heists still occurring in the area each year are getting more physical. In a string of recent cases, criminals snatched phones in a flash right out of people's hands. "I instinctively grabbed for my phone, and it wasn't there," Jeannette Oliver said. Her phone was stolen at a place she assumed was safe -- a church where she is choir director. A visitor grabbed it from her purse, she said. "You want to be welcoming -- because it's church, after all -- and it's gone," she said. Marianne Harding was on Capitol Hill about 10:30 a.m. when her phone was stolen. It was never recovered. "I had to process,” she said. “What just happened? Did I imagine this? No, I didn't imagine this. My phone's gone, my bag's gone, and he's gone in a cloud of dust." One pattern the I-Team found was easy escape routes. In recent weeks, a crook struck near the door of a CVS pharmacy, another near an open space at a pizza shop on U Street and as the doors of a train opened at the Archives Metro stop. Police said many people make the thefts easier for criminals by holding phones out in the open and walking along streets and through trains stations with earbuds in, focusing on what’s on the phone instead of what’s happening in the around them. "Always maintain awareness,” Metro Transit Police Chief Ron Pavlik said. “Keep your head on a swivel. Know how may stops til your stop." Pavlik has eyes in the sky watching for would-be phone snatchers from its security operations center in Landover, Maryland, and with police scattered on the platforms, but he said riders need to be vigilant, too. Be aware of people standing a little too close. If someone does take your phone, do not chase after them, police said.